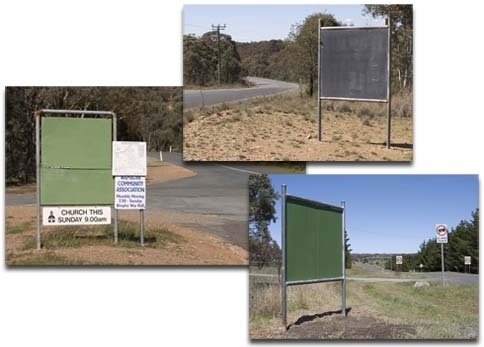 The WCA maintains three blackboards along Norton Road, one at each end and a third at the intersection with Ryans Road. These blackboards are for short term, non-commercial, chalked messages. Please use them with consideration to other users and clean off when your notice if/when it has expired. To maintain a degree of tidiness the boards are cleaned early each week.